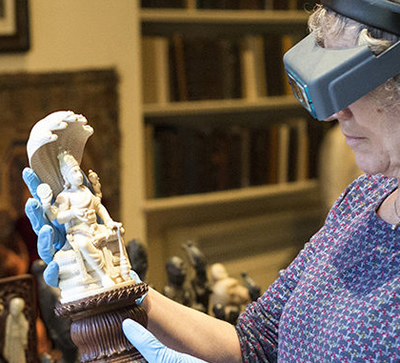 Julia Park-Newman is an Institute of Conservation accredited museum conservator restorer with 40 years experience in conservation and collection care. 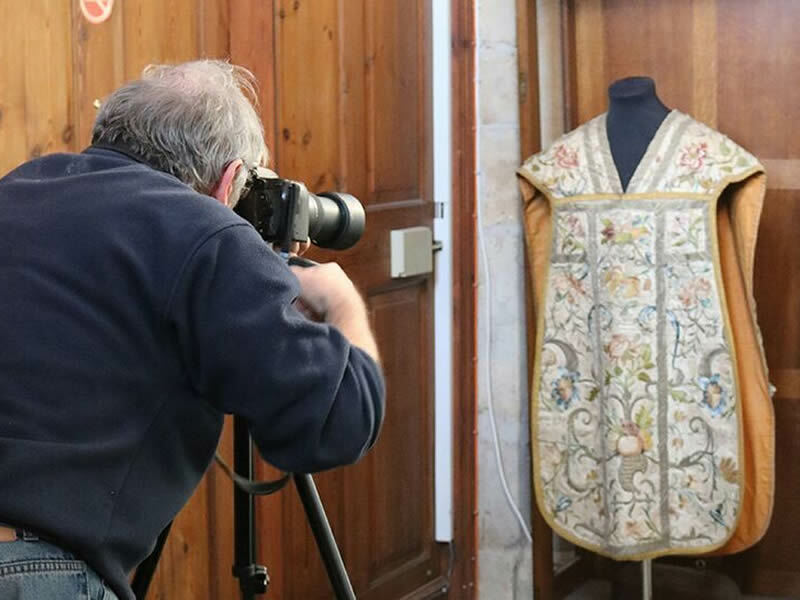 Based in East Anglia and working Nationwide, Julia provides museum conservation and restoration services across the heritage sector, for churches, and for private individuals. John Newman Archaeological Services, specializing in archaeological evaluations and monitoring related to planning applications can be contacted through the contacts page. 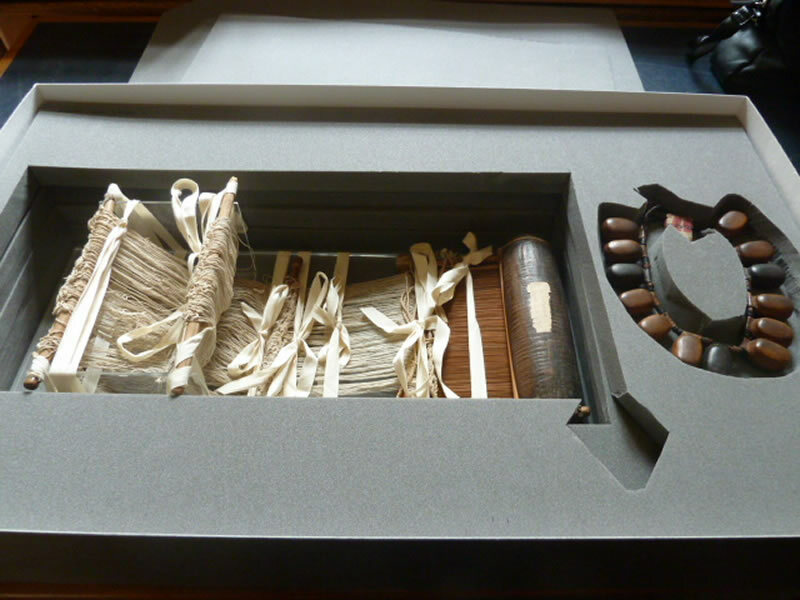 Ethnographic collection (loom and talisman necklace) packed for transit. 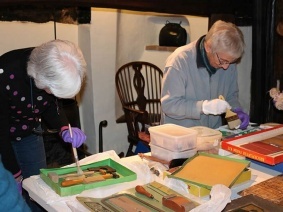 After a morning looking at collection care and packing methods this group of volunteers prepared objects for packing. The objects were then moved to store whilst building work was carried out on the Museum. Conservation Services also set the tender for a new storage facility. Reconstruction of a crushed and distorted Anglo-Saxon horse head. Also conservation to archaeological small finds and consultant for the display environment and installation. Here Conservation Services worked as the Consultant to supply a Collections Management Plan and compatible Access database for a condition audit which was designed for both training and use by volunteers. The Cathedral made a successful Heritage Lottery Fund bid. 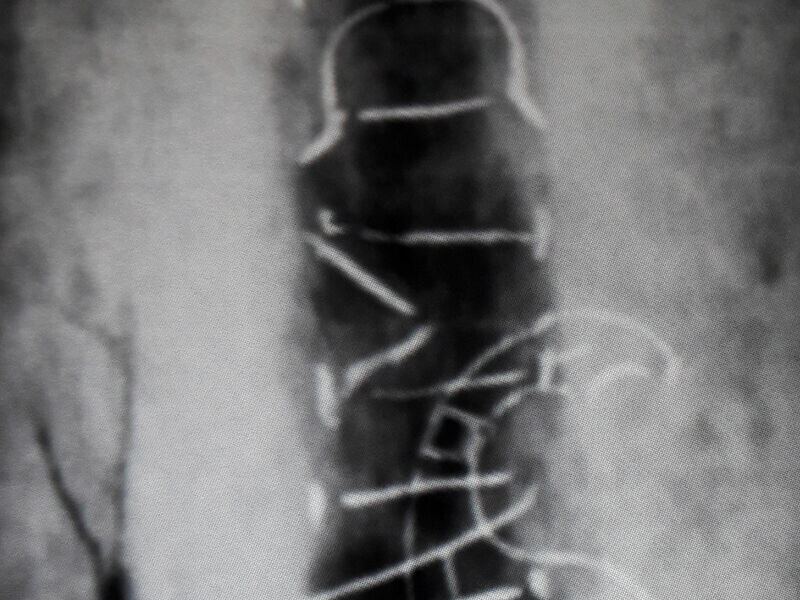 Radiograph of silver inlay lettering and design on a medieval sword. 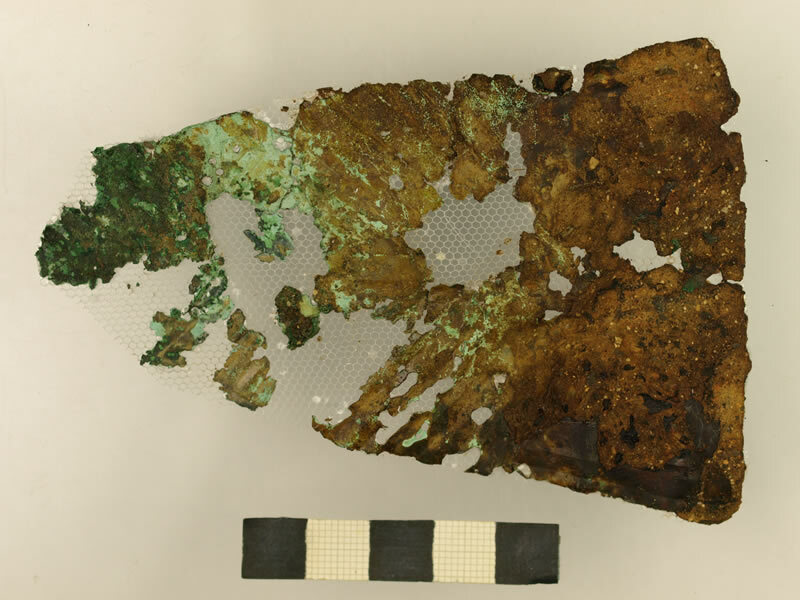 This Roman leaf votive had been encapsulated within thick plastic sheets. It was supported throughout removal from the plastic sheets, conserved and re-backed using reversible materials. 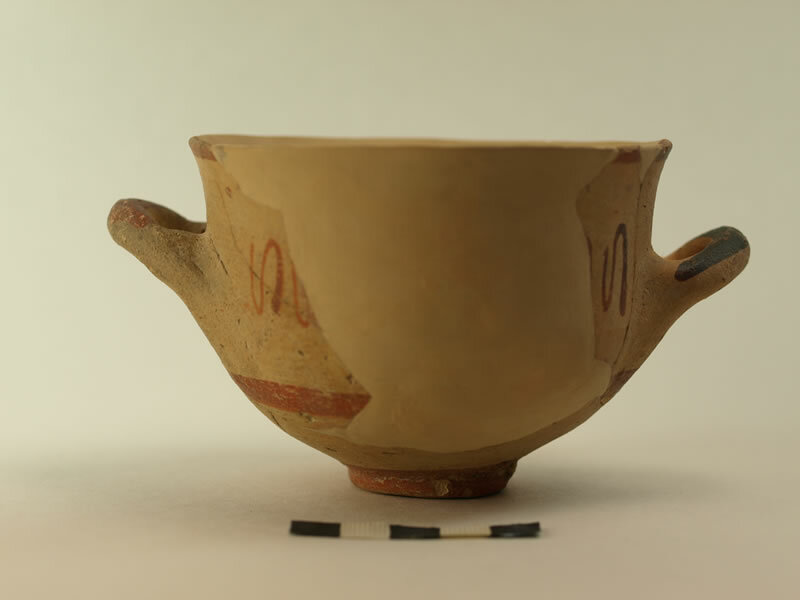 This bowl was excavated to reveal possible food remains which were recorded and sent for analysis. 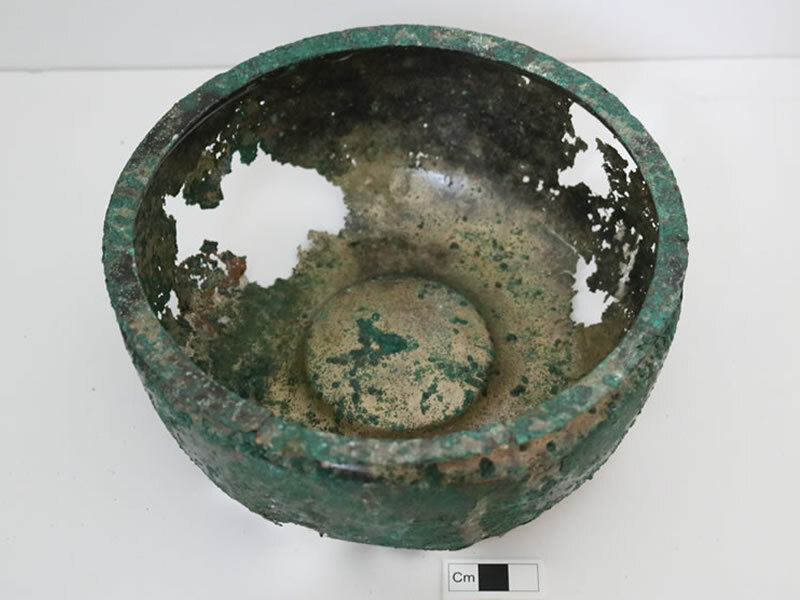 The bowl was then conserved and reconstructed. A visible infill on a Kylix. This item was abraded with loss and lifting of paint/pigment and was dirty. 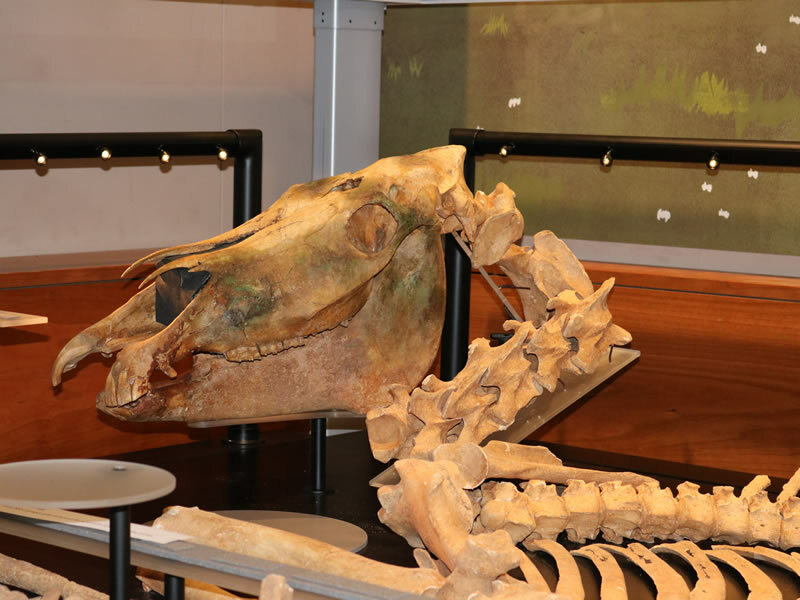 After surface cleaning and stabilistion of the lifting paint, the missing lower half of the cow's hind leg (nearest to view) was reconstructed. 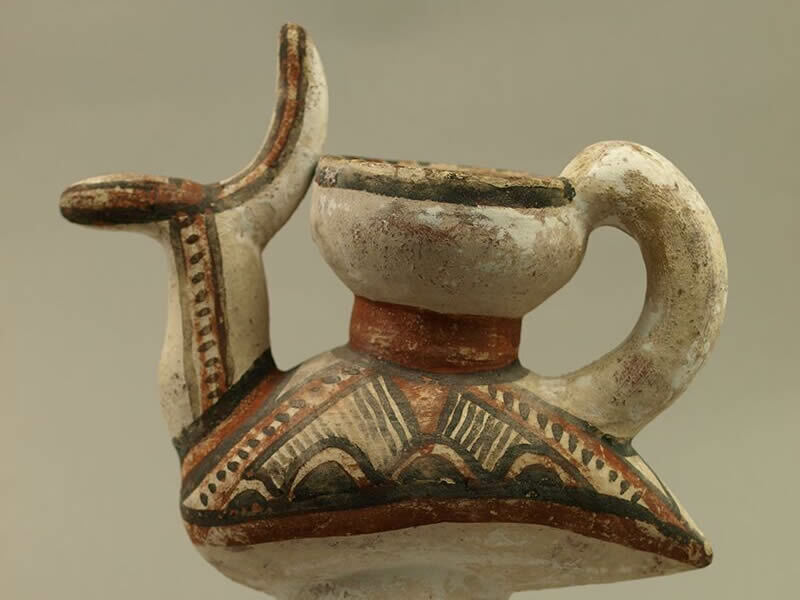 The handle and spout of this Nigerian painted ceramic was restored to its original position. 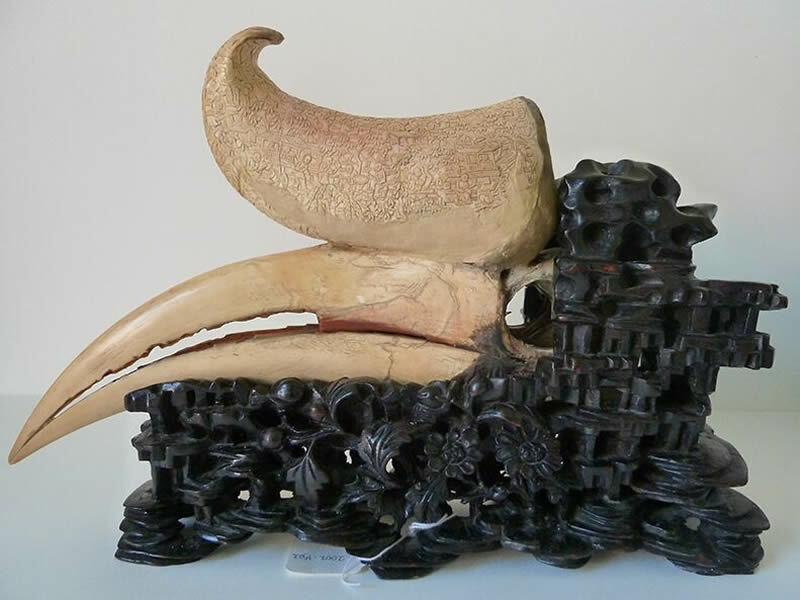 The casque of this Rhinoceros Hornbill was in four pieces and detached (with sections of old repair missing). The old animal glue and shellac repairs were removed from the hornbill and the casque reconstructed re-attached to the beak. This divination bowl from the Yuroba tribe was in five pieces and was reconstructed with minimal interference or replacement. 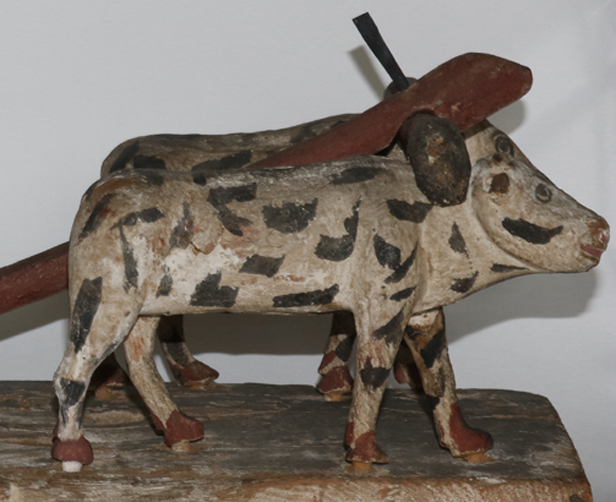 A head (right) was carved and painted to emulate the missing head. The original hair section was then able to be returned to position. 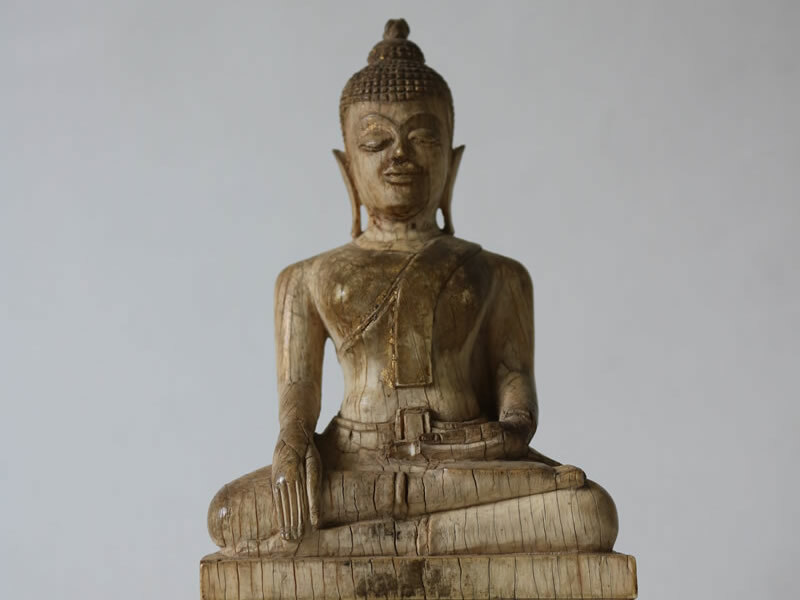 This magnificent ivory Buddha was cleaned to reveal the gilt remains. The ivory was stabilised to arrest further splitting. The apron to this papier mache table was broken and lost in three areas. This was replaced with a visible repair. The base of the table was badly cracked. The cracks were stabilised and filled to match the original. 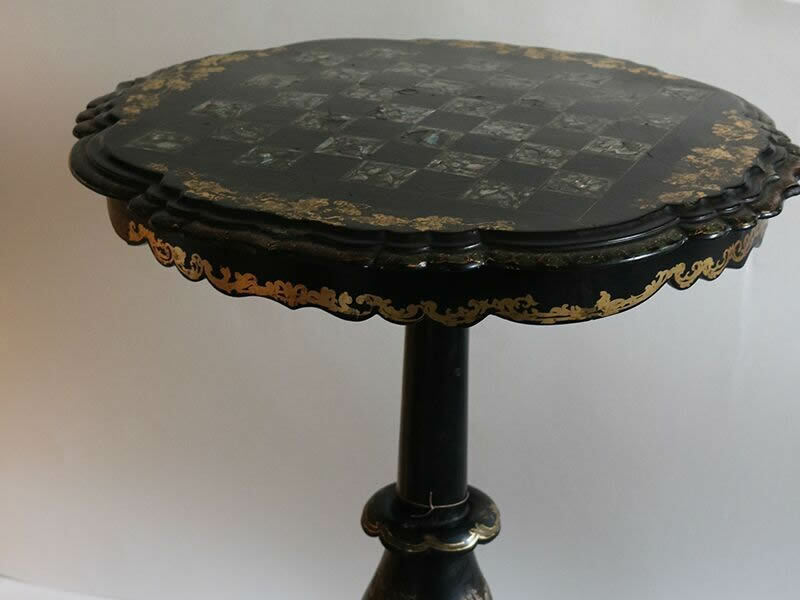 The table can now stand for display. 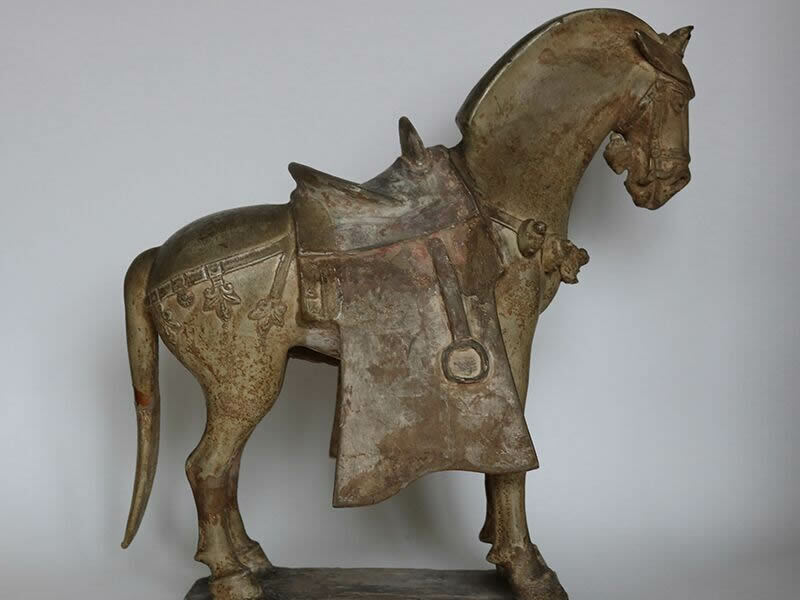 This Tang dynasty horse was cleaned to reveal remaining pigment. Old repairs were either removed or reduced and strengthened. Areas of missing ceramic were infilled and touched in to match. 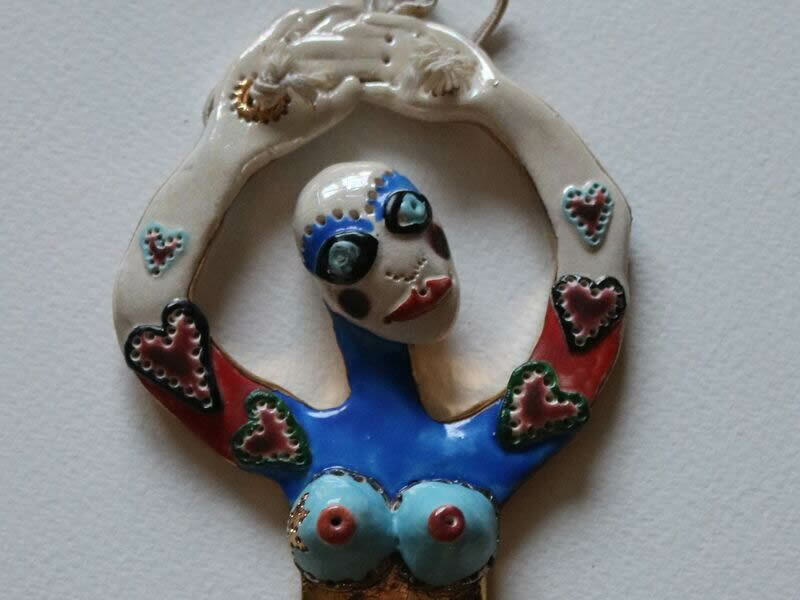 This enamelled ceramic arrived in ten pieces. 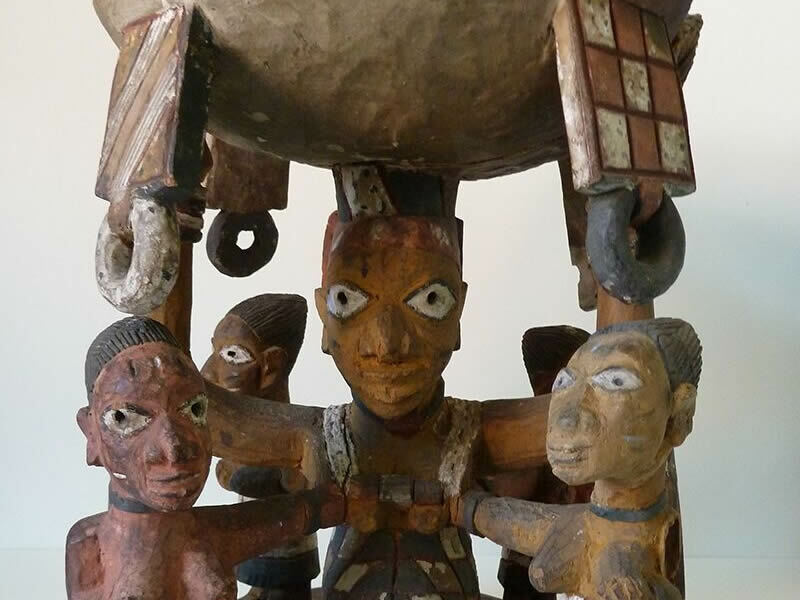 It was reconstructed so that it can be hung for display in the manner conceived by the artist. 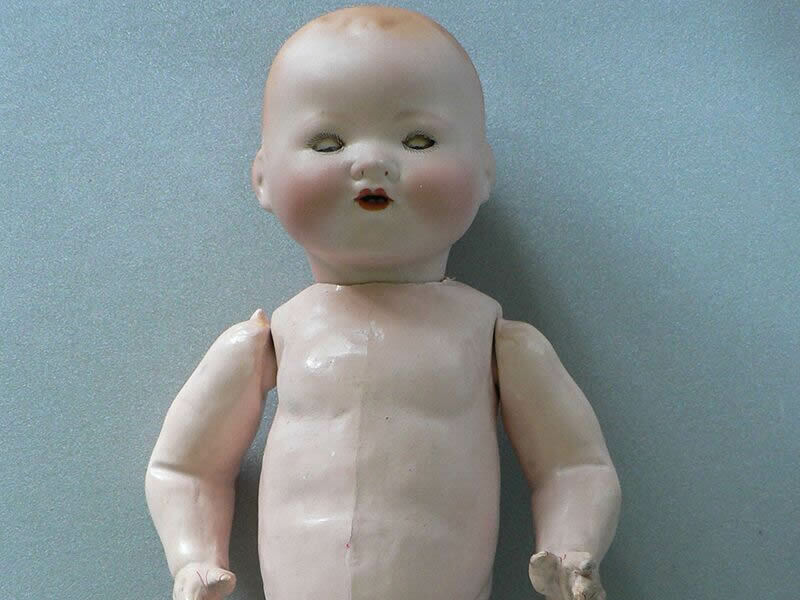 This papier mache doll had lost a shoulder (left), which was replaced and the doll re-strung. 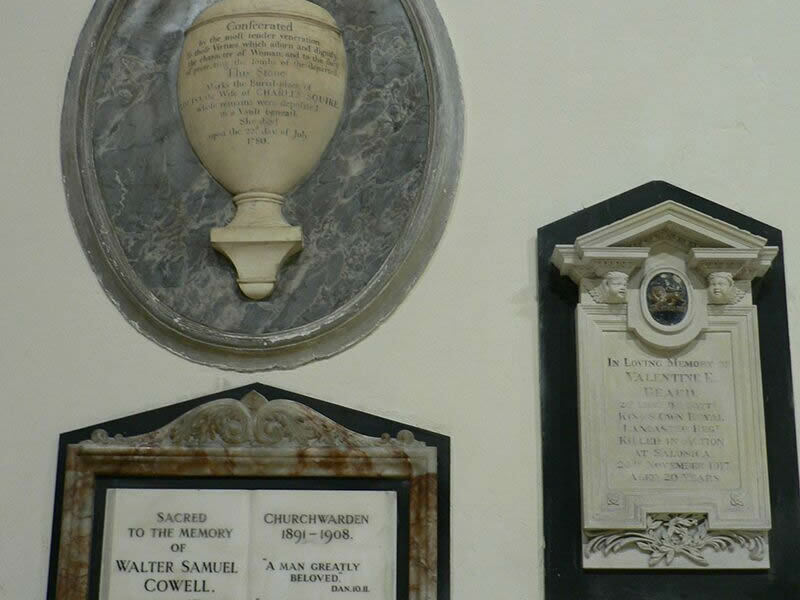 Cleaning of church monuments as part of a project to bring a redundant Church back to life. 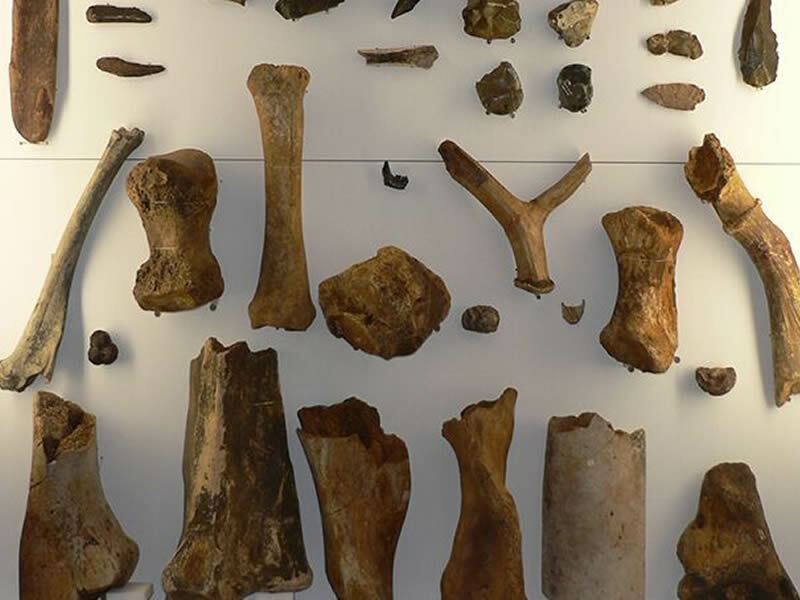 Bone and geological specimens mounted on display. 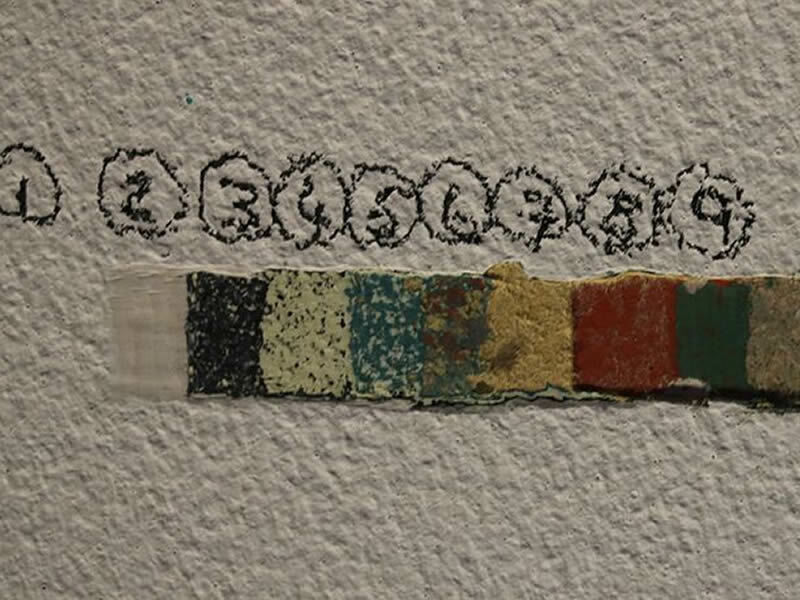 Exploratory removal of layers of paint to ascertain whether a mural was extant underneath.